Planet Aid Holds Clothing Drive With iCIMS - Planet Aid, Inc. Planet Aid recently held a clothing drive in cooperation with the employees of iCIMS, a software company based out of Matawan, New Jersey. The clothing was collected on two dates. 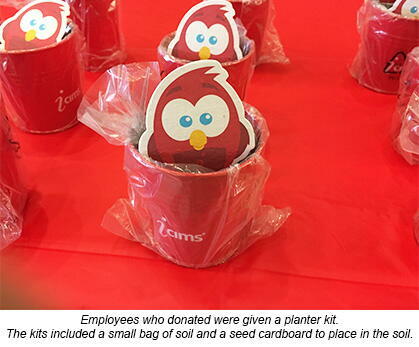 Each employee who donated was given a planter kit that included a bag of soil and seed cardboard for them to take home and plant their own flowers.